The gross freight=The first weight price+the difference of each weight range/weight unit*added weight price+operation fee. The first weight: 0-1000, pure digits, can be 0. The first weight price: 0-1000. 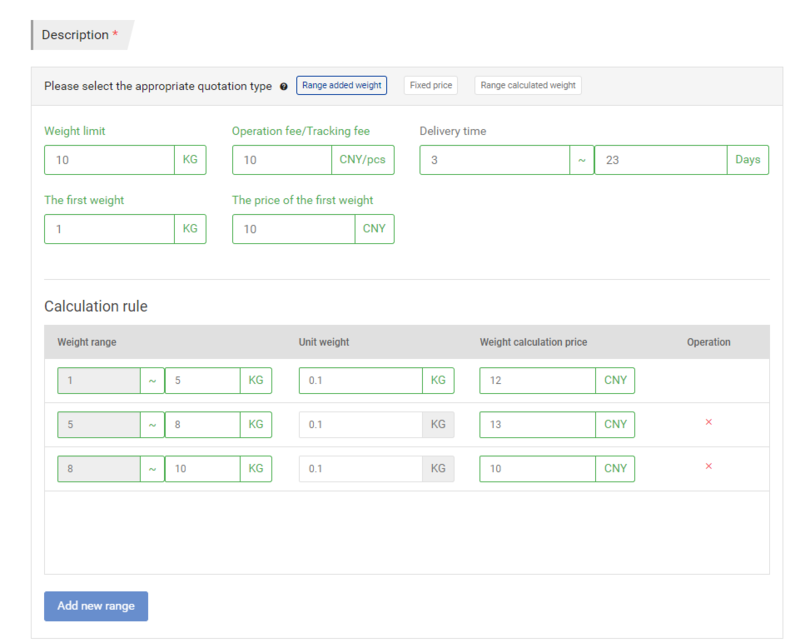 Take the above screenshot as an example, if a user enters 7.5KG, the gross freight would be 10 (the first weight price)+(5-1)/0.1*12 (the freight of the first range)+(7-5)/0.1*13 (the fright of the second range)+10 (operation fee)=825. Есть ли у 17TRACK API?